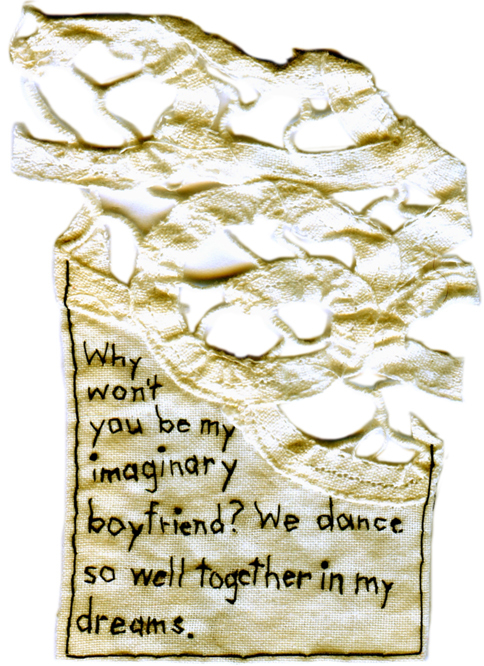 “We Dance So Well Together in My Dreams.” Embroidery on antique textile. 2012. 4.25″ x 3″.